I first saw California in 1969, on my honeymoon. A year later, my wife and I moved here temporarily while I waited to go into the Navy. Then came four years in southern California, stationed at the naval hospital inside Pendleton. Then a year in Chicago for a Masters degree, then back to the central valley. It took me twenty years to get used to the climate and to feel truly at home. I became a writer, more or less full time, then eventually, a teacher. I never stopped writing, and about ten years into my day job – which I had for twenty-seven years – I wrote a novel based on my teaching experiences called Symphony in a Minor Key. I presented the Christmas chapter in December of 2015. 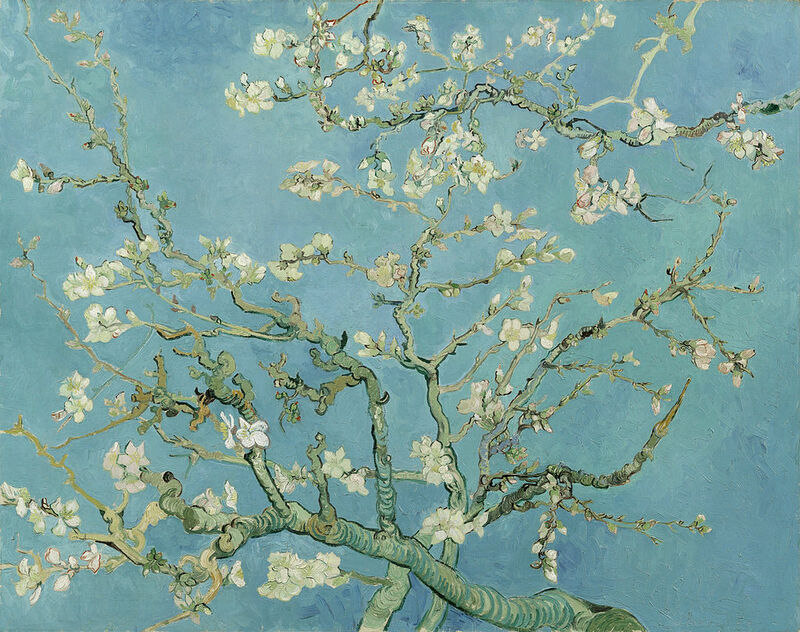 Driving around yesterday I saw the first almond blossoms of the year, and it reminded me of that novel. Within a week, the entire central valley of California will be alive with blossoms, California’s brief efflorescence of spring before the long, harsh days of summer. We have seasons, they’re just skewed early. 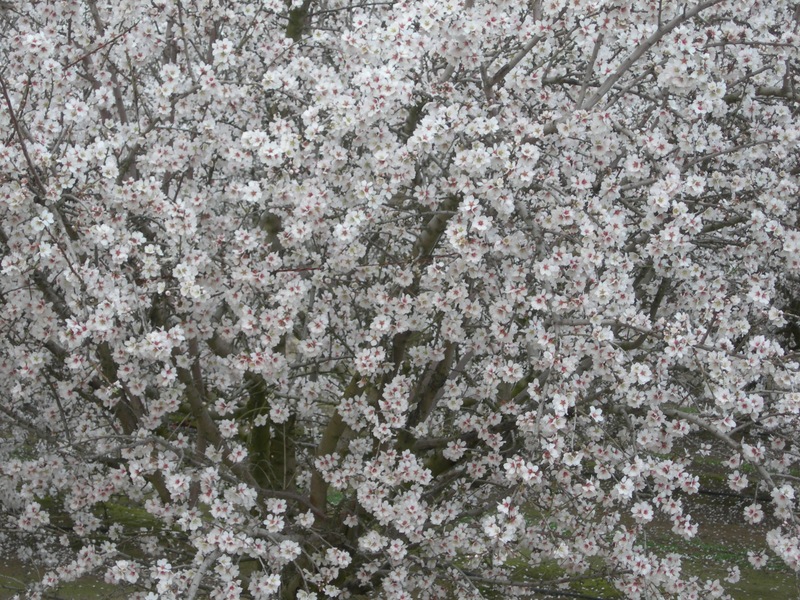 Here is a brief almond blossom excerpt. For the next two days, Neil’s afternoon class moved as smoothly as a well oiled bearing. It was amazing what the absence of one child could do. When Saturday rolled around, Carmen took Neil for a ride without giving him a hint of their destination. She had packed a picnic basket, and she set a course that circled northward across the river, then eastward toward Riverbank. It was February eleventh. In the midwest, there was a foot of new snow on the ground, but spring had come to California. Almost overnight, the almond orchards had come to full blossom. Everywhere Carmen took him, the trees were covered with pure white flowers, and already the wind was shaking the first of them free to cover the ground like a fragrant snowfall. They stopped half a mile up a dirt orchard road. Carmen spread a blanket under the trees, in a patch of sunlight. It was just too chilly to be quite comfortable, so after they ate they put the food away and wrapped the blanket around them as they waited out the day, encircled by ten thousand acres of flowers. This entry was posted in A Writing Life and tagged literature, memoir, seasons, writing on February 16, 2017 by sydlogsdon.